Choosing from a wide range of Sixth Forms can be daunting, so what are the key considerations? It is easy for students to assume that successful GCSE results takes them only one step away from university, and that they have demonstrated all of the necessary independence and study skills to succeed at A’ Levels virtually unsupported. The reality is that the step up from GCSE to A’ Level is the biggest academic leap they will ever make. This is doubly so in the light of the new linear A’ Levels, and the level of support available in a Sixth Form setting is critical in ensuring success. A’ Level courses are taught for 5 hours each week, and it is expected that students will spend a further 5 hours on each of their 3 A’ Levels. At 30 hours per week with enrichment activities layered on top, this equates to the time spent on a full-time job. The level of organisational skill and basic motivation to achieve this alone is beyond many Sixth Form students, so the level of support offered is crucial. Whilst all Sixth Forms offer some pastoral and academic support, the most effective link the two together and do so on a daily basis. 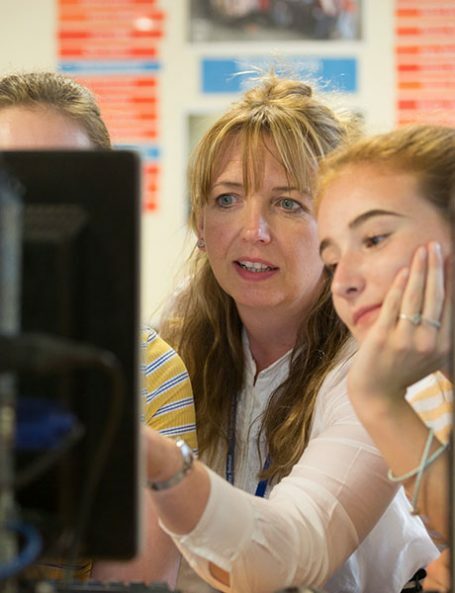 Bewdley Sixth Form offers daily tutoring support with a programme of structured tutorials, to ensure that each student is individually coached and mentored. Beyond this, our supervised study room ensures that students develop the study habits they need to master their subjects. There is a basic expectation of daily study which earn our students agreed ‘freedoms’. High standards of teaching across a comprehensive range of subjects ensure that students have everything they need to achieve their academic targets and meet their university or apprenticeship entry offers. However, it is the individual tutoring, supervised study and ongoing tracking and monitoring which ensure that they capitalise on this high-quality teaching and achieve their goals.